Kevin R. Stone, MD is one of the world’s leading experts in meniscus transplantation and a pioneer of biologic orthopedic techniques. For over 25 years, he and his team have specialized in giving people back their vital meniscus shock absorbers, keeping the knee moving naturally and reducing the likelihood of a total knee replacement. Meniscus transplant is a highly skilled procedure involving accurate diagnosis, acquisition of the perfect donor tissue, complex surgery, and specialized rehabilitation. The Meniscus Transplant Center is one of the few places in the world dedicated to this procedure. In the past, if a meniscus was damaged beyond repair, it was simply removed. Nothing replaced it. Now we know better. Replacing a meniscus with donor tissue can delay or prevent the need for a knee replacement and possibly even prevent the onset of osteoarthritis. Long-term data confirms that a meniscus transplant relieves pain, improves function and returns people to sports, even if they already have arthritis. Tissue acquisition: In-house inventory of the best meniscus tissue, including back up tissue, to eliminate delays in providing care. World-class surgical facilities: We partner with the Aviva Family of Centers of Surgical Excellence, including The San Francisco Surgery Center, a state of the art Ambulatory Surgical Center (ASC) in San Francisco, where Dr. Stone’s team has performed over 4000 knee cases. Onsite physical therapy: Highly specialized, dedicated protocols for the evaluation and rehabilitation of meniscus injuries to help ensure optimal outcomes. Measured outcomes: Careful evaluation of decades of meniscus transplantation data from The Stone Clinic and around the world. 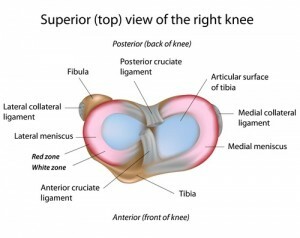 Meniscus cartilage is vital to the healthy functioning of the knee joint. It provides the cushioning between the thighbone (femur) and shinbone (tibia) and helps with shock absorption, stabilization, lubrication, and load distribution within the knee. Why does it matter if the meniscus is missing? Without the knee’s main shock absorber, the femur and tibia begin to rub together, damaging the protective layer of articular cartilage around the bones, and causing osteoarthritis. Replacing a missing meniscus can help prevent this painful disease. If you already have arthritis, a meniscus transplant can be combined with an additional procedure (articular cartilage paste graft) to regenerate cartilage and rebuild the knee. Damaged ligaments may also be repaired or replaced. The combination of procedures is called a BioKnee replacement. Many of our meniscus transplant patients had moderate to severe arthritis and were told that they needed a total knee replacement. They didn’t. A bioknee replacement was enough to get them back to their sports.
" My journey toward becoming an orthopedic surgeon began with a serious knee injury I suffered when playing soccer in college. My meniscus cartilage, the shock absorber in the knee, was torn and the surgeon just removed it and threw it away. While I admired the surgeon who removed it, I was frustrated by the primitive techniques. Surely there had to be a better way? I have been researching and developing techniques to repair, regrow and replace this vital piece of cartilage and the injuries surrounding it." The surgical procedure of meniscus transplantation involves first removing the torn fragments of original meniscus cartilage, securely placing and attaching the meniscus transplant, enough to permit axial and rotational loads, and finally checking the placement to make sure the rest of the tissues in the knee are working properly with the new tissue. 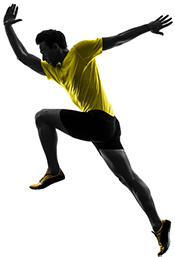 We developed the three tunnel technique in the 1990s to ensure that the new meniscus replicates the original. Dr. Stone’s first contribution to meniscus replacement was the invention of the collagen meniscus implant to regrow segments of missing meniscus in the knee joint. This device is now available around the world. Next, he turned his attention to refining the technique of complete meniscus replacement and developed the three tunnel technique of meniscus transplantation. Meniscus transplantation in an active population with moderate to severe cartilage damage Stone, KR, Pelsis, JR, Surrette, ST, Walgenbach, AW, & Turek, TJ (2014). Knee Surg Sports Traumatol Arthrosc. A long-term study of 49 meniscus transplant patients found that athletes who replace their damaged or missing meniscus with donor tissue can recover well enough to get back to sports, for up to 15 years, even if they had already developed osteoarthritis. Meniscal allografting: The three-tunnel technique Stone K.R., A.W. Walgenbach. 2003 "Meniscal allografting: the three-tunnel technique." Arthroscopy19 (4): 426-30. This technical note describes an improved arthroscopic technique of meniscal transplantation that simplifies the surgical procedure and secures the allograft to the tibia at three sites. The technique is useful for both medial and lateral meniscal transplantation and has been used in our Clinic for hundreds of meniscal transplantation procedures. Successful meniscus transplantation may depend on accurate sizing. In our meniscus transplantations, we have observed that when the height and weight of the recipient matched those of the donor, the meniscal size appeared to be a match at surgical implantation. We designed this study to confirm this observation. Our patient came to us after a long history of knee issues. She'd had surgery to repair 2 medial meniscus tears in her 20s and since then had never really had a pain free knee. She spent her 30s having kids and staying active as possible. In her early 40s she went to see an orthopedic surgeon to take care of some knee pain, thinking that the procedure would be simple but was shocked to be told that in fact she needed a total knee replacement. " I wasn't ready to do that" She found Dr. Stone who told her that it she was a candidate for a meniscus transplant. "Here I am a year out and I am doing everything I could do pre-injury. I run without knee pain. I ski without knee pain and I bike without knee pain." She adds, "Most importantly for me, I have 3 kids, 3 girls and we are an active family and for me to be able to hit the slopes with my kids or go for a mountain bike ride or take a hike and maintain an active healthy life and model an active healthy life for them that was probably one of my hugest reasons for doing this." Brandon had a meniscus transplant some years after having part of his meniscus removed due to an injury. His knee had become painful and his doctor had told him that he would have arthritis in a few years and ultimately ended up with an artificial knee replacement. After his meniscus transplant at the Stone Clinic, he stayed 7 weeks in San Francisco to rehabilitate. He came 5 days a week to work with our physical therapists. Embedded video for Meniscus transplant patient testimonial - 7 month post op.